Aberdeen & Northern Marts hosts a range of special events every year, featuring the best livestock from across the country. 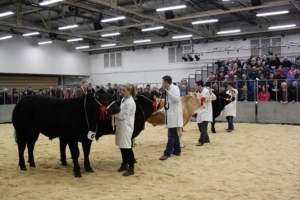 Ringside and online buyers are able to bid for all livestock, including prize-winning animals. We also host a range of Pedigree Sales for Cattle and Sheep, Click Here for More Information. If you're interested in Selling your Livestock, please Contact a Member of our Team.